​Triumph TR8 Turbo Le Mans at Goodwood Road and Racing Club Members Meeting. This year's Goodwood Members Meeting to be held over the weekend of 17th -18th March 2018 will feature a demonstration theme for fans of the World Sportscar Championship's Group 5 class, in which the Triumph TR8 ran when it entered the 24 Hours of Le Mans for the first time in 1980. 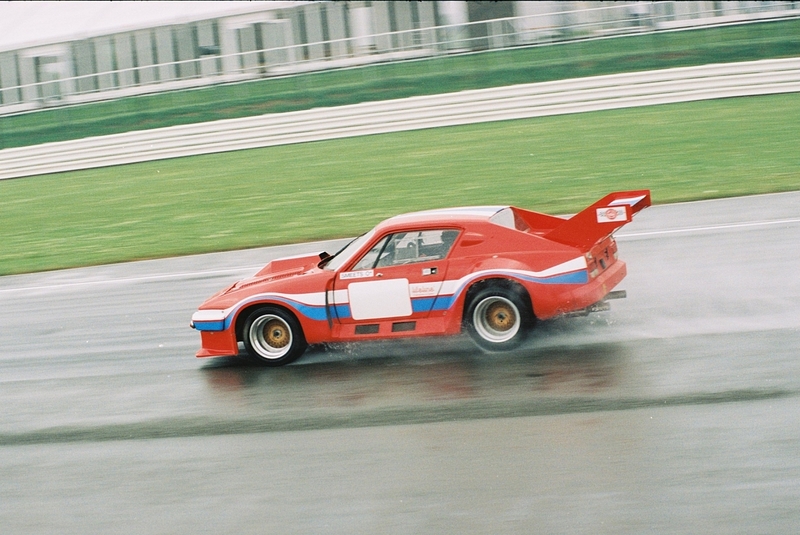 These highly modified production cars arrived in endurance racing after a regulation change for the series in 1976 opened the door to allow them to race. 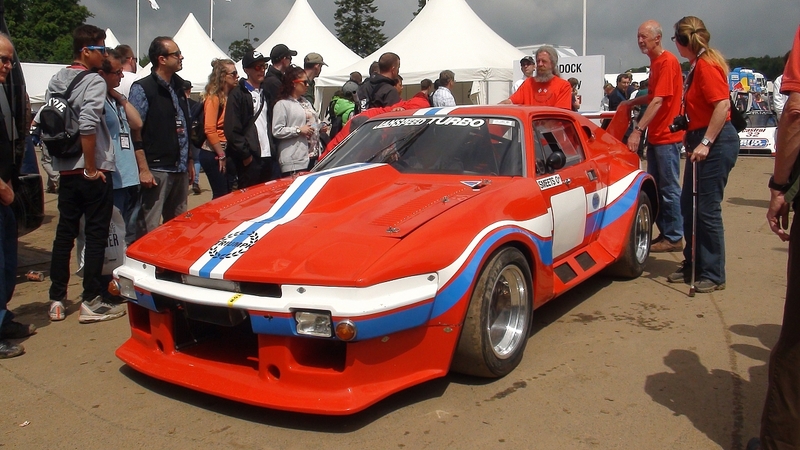 Co-entered under the name of Janspeed / ADA / TR Register the Triumph TR8 Turbo Le Mans was the first Triumph seen at Le Mans in 15 years and the first ever entry into the 24 hour race at La Sarthe by a single marque car club. The car was the ultimate hairy chested version of the much-maligned Triumph TR7 and TR8 production models being produced by British Leyland at Canley near Coventry at the time. Alec Pringle, a member of the TR Register was instrumental in bringing together the joint entry at the time and recalls the massive effort to raise funds for the car, "In the dying days of Triumph so many TR enthusiasts around the world rallied to the cause and chipped in to help the last TR make it to Le Mans. Yours truly sold his TR6 in order to stump up our share of the entry fee, 25% of the sale proceeds went in the pot." The project however was ill - fated failing to qualify in 1980 after a disagreement with the ACO, it returned in 1981 following testing by Derek Bell and racing at the Silverstone 6 hour race, only to be withdrawn after a heavy crash that could not be repaired in time. Derek Bell famously remarked on the cars lack of refinement but huge potential given the right level of development. It returned in 1982 but was withdrawn for the final time due to lack of funds and support from British Leyland. All agree that the potential of the car was awesome and given larger funding, who knows what it could have achieved. 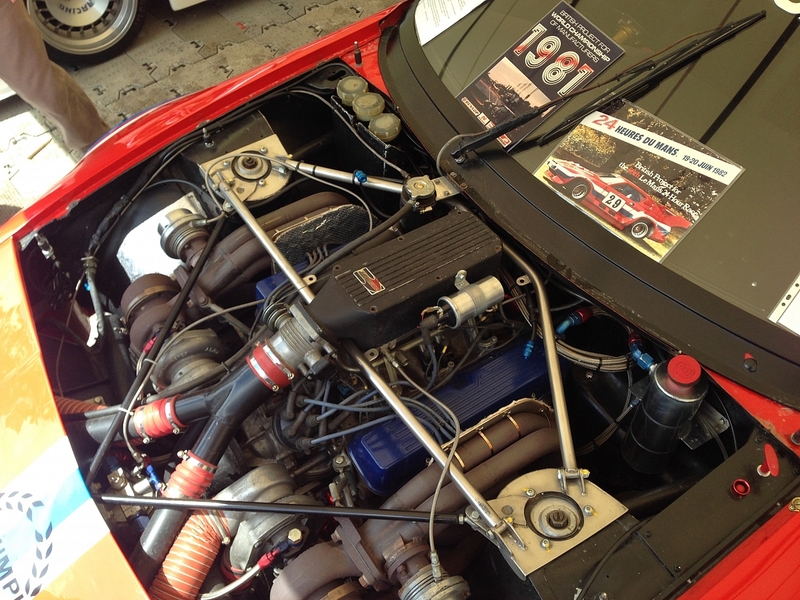 Janspeed developed the Rover V8 engine with twin Rotomaster Turbo-chargers fed through SU carburettors providing monstrous power in excess of 500 bhp reigned in by Formula 1 grade brakes. It was clocked at over 200mph on the Mulsanne straight in 1980 before suffering drive shaft vibrations as well as a host of other niggles. The car currently resides in Belgium where its devoted owner Bert Smeets has previously invested much money, time and effort into restoring the car to its current, glorious state. A lot of work has been undertaken on the car in readiness for the GRRC Members Event, which has involved and full engine and turbo rebuild by midlands based Rover V8 guru John Eales. Bert Smeets says, "After a massive engine rebuild project, the car will be running without the silencers required by so many circuits these days, so that the full thunder of the twin turbo Rover V8 engine can be experienced by the assembled fans. " The Triumph TR8 will run alongside Porsche's turbocharged flat-6 935, BMW's ferocious 320i Turbo, Lancia's Beta Montecarlo, Ferrari's 512BB/LM and Ford's outrageous Zakspeed Capri and promises to add something completely different and exciting to the line up in the 50th anniversary year of British Leyland and was recently named as one of the Top 5 coolest Group 5 cars by the Goodwood news site. Did this happen? I watched the live feed on You Tube for most of the weekend but didn't see the TR7. Bert Smeets was racing in historic single seater though. It was an interesting meeting given the weather conditions. The track temperature barely rose above zero and the 'Alpine' background gave the TV coverage a strange and unusual dimension. Skiers and tobogganists could be seen on the hills.